Scott Reid is a columnist with the Ottawa Citizen, and a former adviser to Prime Minister Paul Martin. 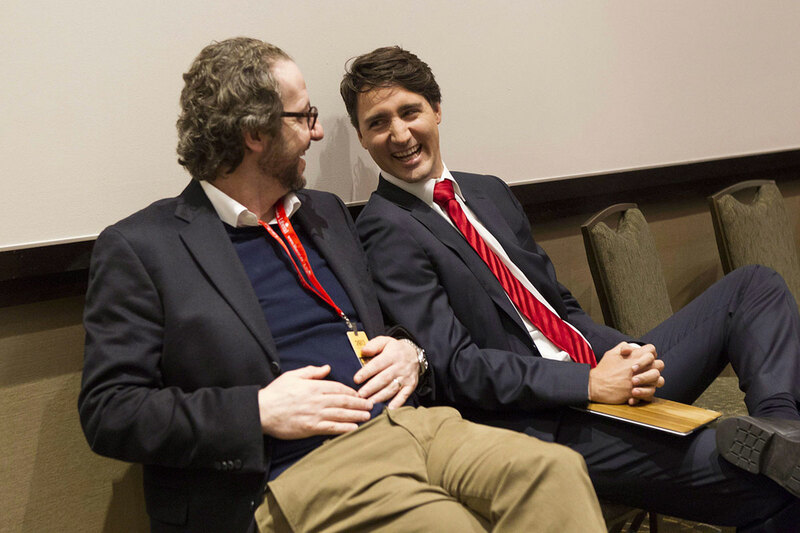 The Canadian Press/Chris Young Adviser Gerald Butts (left) with Liberal leader Justin Trudeau. Last November, on a bracingly cold night in downtown Belleville, Ontario, a tall man in blue jeans and a charcoal sweater spoke to 150 Liberals in the meeting room behind Capers restaurant. He fielded questions on everything from environmental technologies to hardball politics, and his answers elicited applause and the occasional laugh. In particular, the crowd warmed to his argument that the Liberal Party will only recover if it rebuilds from the ground up. The event’s organizer, Lenore Begley, beamed. “It’s one of our best-attended forums in two years,” she said. “People really wanted to hear from him.” And that’s the odd part, because Gerald Butts, the man in the blue jeans, is not the leader of the Liberal Party. Or even an MP. He is just an aide. In political circles, however, Butts isn’t “just” anyone. Even if we still lived in a time when political operators were hidden behind the blue smoke of backrooms, he wouldn’t have a chance at anonymity. He is the most important Liberal in Canada today who doesn’t share a surname with the country’s fifteenth prime minister. This isn’t simply because he is Justin Trudeau’s most senior adviser. It’s because of the unique relationship between the two men. Pierre Trudeau had Jim Coutts, Jean Chrétien had Eddie Goldenberg, and Stephen Harper has Ray Novak—all long-time deputies who, through dint of service and breadth of influence, became invaluable to their bosses. Yet these relationships work best when the professional precedes the personal. Pals tend to make piss-poor advisers, because they lack objectivity and the necessary rigour. Butts is the rare exception: a close friend who is also a skilled strategist. In just eighteen months, he has helped Justin Trudeau win the party leadership and move to the top of the polls. Now Butts is focused on getting his leader—and friend—elected prime minister. In general, he prefers to avoid the spotlight: he rarely gives interviews, and he declined to take part in this profile. Here’s the resumé: Forty-two years old. Married with two kids. Graduated from McGill University, where he met Trudeau and now sits on the board of governors. Majored in English literature, which makes him instantly suspect to politicos. Affable, but can be prickly when defending his boss. Former principal secretary to Ontario premier Dalton McGuinty. Habs fanatic. And whip smart. All of this is displayed on his constantly churning Twitter feed. When he is not chiding the National Post for its snarky reaction to the naming of newborn Hadrian Trudeau, he is conversing with economists such as Mike Moffatt on how to better measure gross domestic product. In October 2012, Butts went, in the words of one fellow aide, “all in on this thing,” quitting his job as CEO of WWF-Canada to run Trudeau’s leadership campaign. Sun News Network host Ezra Levant hyperventilates that Trudeau is in the thrall of an “environmental extremist.” While at WWF, Butts helped to usher in the Canadian Boreal Forest Agreement, a landmark compromise that now protects 29 million hectares of woodland caribou habitat from logging. The deal also meant shaking hands with the forestry sector, an industry not known for environmental extremism. 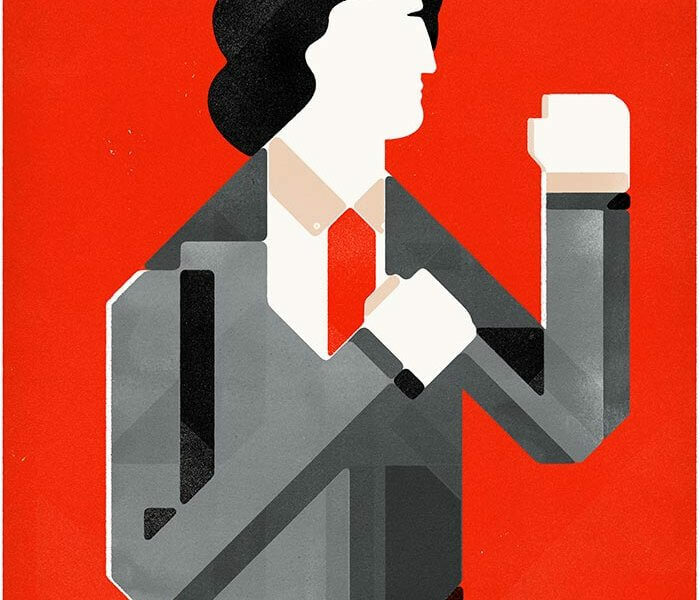 A similar flair for the bold can be detected in two of Trudeau’s high-profile moves. Legalizing marijuana and expelling the entire Liberal Senate caucus reflect Butts’ willingness to entertain risks, provided they come with the promise of a big payoff. “Gerald was key to this,” says one Senate exile, who asked for anonymity in deference to Butts. “It was the right decision politically, but it was still a tough sentence for all of us.” That is a concern Butts can handle. At the Belleville forum, he repeatedly told the crowd that Trudeau will only win if he stands for change. The subtext was unmistakable: a few daring policies are necessary. Yet he resists critics who demand an immediate string of policy specifics. “Gerald doesn’t accept that the economy as we discuss it today is the debate we’ll have about the economy by the time of the election,” explains the same aide. For Trudeau, who is often criticized for seeming light on ideas, this approach represents a risk of its own, one of many that Butts will have to weigh in the run-up to the next election. To Trudeau, Butts is the indispensable aide. It’s virtually impossible to recall a relationship quite like theirs in Canadian politics. Coming off the Liberals’ worst-ever defeat in 2011, it is no exaggeration to say that the party’s survival is now intimately linked to this two-decade friendship.